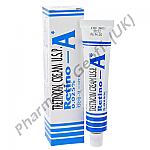 Hydroquinone, a skin-bleaching agent, is used to lighten the darkened skin such as freckles, chloasma (also known as melasma) even skin conditions like age spots, and acne scars. 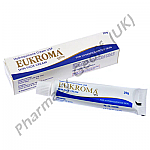 Eukroma cream the commercially available form of Hydroquinone decreases the production and increases the breakdown of the melanin pigment granules in the skin pigment cells (melanocytes). 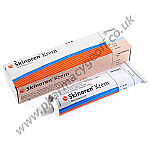 It does this by bringing about the inhibition of the tyrosine’s enzyme, responsible for making melanin. The drug is meant for external use only. The cream should not be allowed to enter in the mouth or eyes. If it enters by mistake, it should be rinsed off with water as soon as possible. 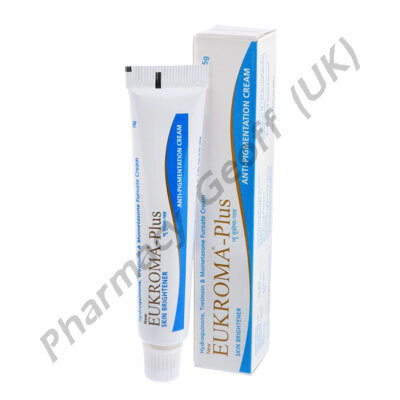 Benzoyl peroxide, hydrogen peroxide, or other peroxide products should be avoided as they in conjunction with Eukroma may cause a temporary dark staining of the skin. Do not use hydroquinone topical on skin that is sunburned, wind burned, dehydrated, chapped, cracked or irritated, or on an open wound as it worsens these conditions. Skin products that can cause irritation, such as harsh soaps, shampoos, or skin cleansers, hair colors, hair removers or waxes, or skin products with alcohol, spices, astringents, or lime must be abstained from. Protection against exposure to sunlight or artificial UV rays (tanning beds) is mandatory. It may contain sodium metabisulphite that can cause serious allergic reactions in predisposed people. 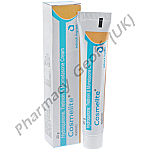 It should be completely avoided in women during pregnancy and lactation. 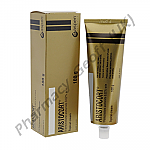 People with kidney and liver diseases should take medical advice before using the cream. The side-effects that can arise are hives, difficulty breathing, and swelling of your face, lips, tongue or throat, burning, stinging, skin irritation, itching, flush.